What jobs are available, and how much do they pay? Job searching is tough. If you’re unhappy with your current position, finding the time to look for a new one can seem impossible. 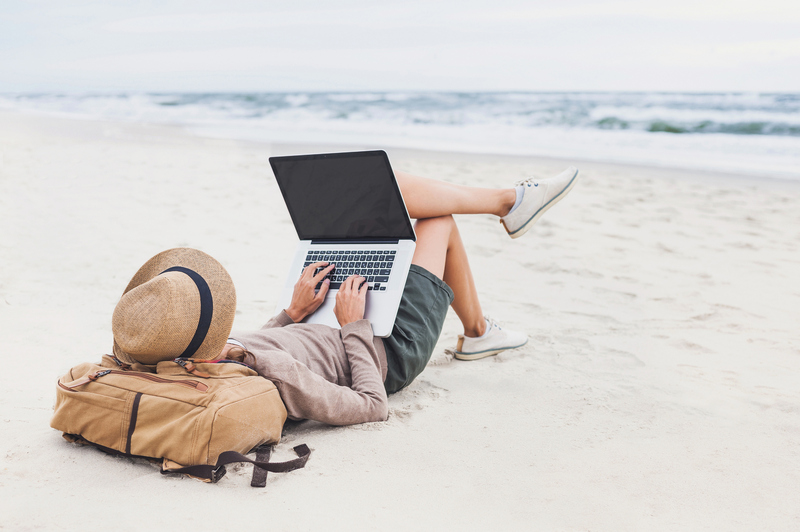 And if you’re unemployed, juggling your daily responsibilities and finances with seemingly endless job applications can be even more difficult. Even clearing space to determine what the job market looks like can be a challenge. To help out job seekers like you, Express Employment Professionals made the handy graphic below to give you an idea of who out there is hiring. Want to boost your job search reach? We’re here to help. Headquartered in Oklahoma City, OK, Express Employment Professionals is a leading staffing provider in the U.S. and Canada. We employed a record 510,000 people in 2016. 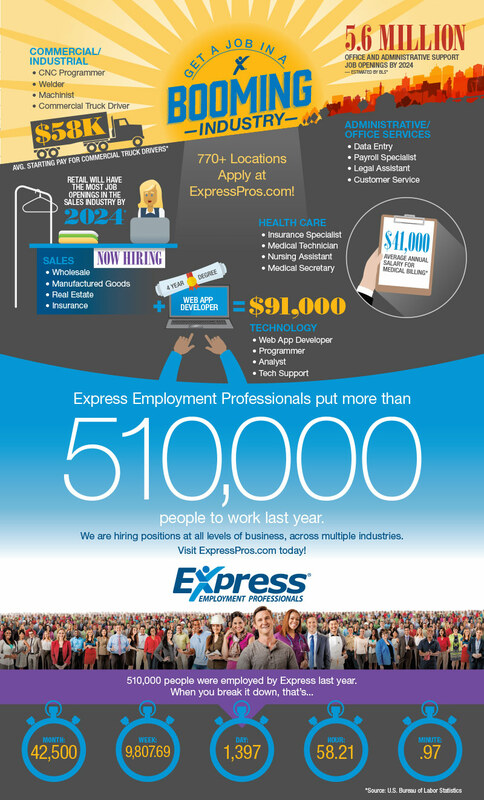 Feel free to contact your local Express office or create an express account to apply for jobs online.